This is a scheme for betterment of the GSD breed, managed by the GSDCA. 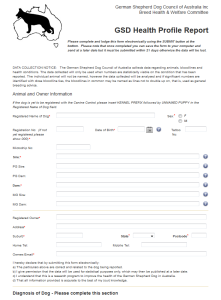 An electronic form for capturing health information regarding the GSD is available. It is extremely important that our Health and Welfare Committee can receive data relating to the health of the GSD in a timely manner and this form simplifies the process. For details of Veterinary articles and Health information pertaining to the GSD please go to the Veterinary Fact Sheets page. The GSDCA has set up a Hereditary Diseases Subcommittee to monitor, investigate and recommend remedial action on emerging disorders that may affect breed development. 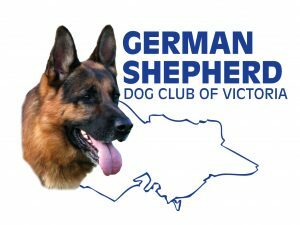 Through these initiatives, the GSDCA and its affiliate members have built up much knowledge and resources on the veterinary aspects of many disorders/conditions which may affect the German Shepherd Dog. 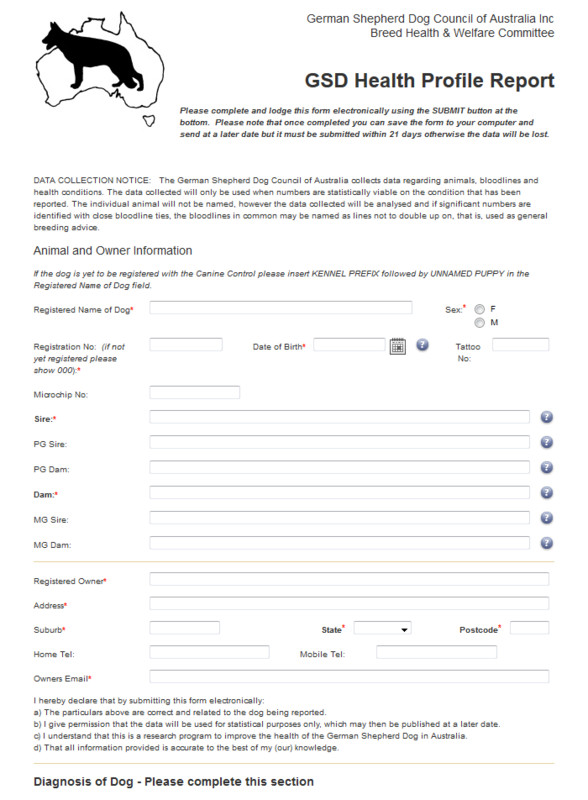 To report disorders, conditions and health matters observed or diagnosed in German Shepherd Dogs or Puppies to the Hereditary Diseases Scheme, please forward information to the GSDCA so it may gather all available data to better understand what may be occurring and affecting breed development. The ANKC considers that the health and physical welfare of dogs is of prime importance and is reviewing and will continue to review Breed Standards to reflect this policy. (Instituted October 2008).